For my birthday this year, I told LuShark I wanted to go for izakaya! It just so happened that my birthday was on a Friday, and Dora-Q has extended their weekend izakaya indefinitely! Every Friday and Saturday night from 5pm-10pm you can enjoy an izakaya dinner in Dora-Q’s unique dining room. What’s izakaya you ask? Think of it as a Japanese pub or Spanish tapas bar: i (to stay) and sakaya (sake shop). There’s sushi, but also grilled skewers, fried chicken, croquettes, noodle dishes and dumplings. Everything is generally ordered at a leisurely pace. Everything is shared. And drinks are abundant. It’s glorious! 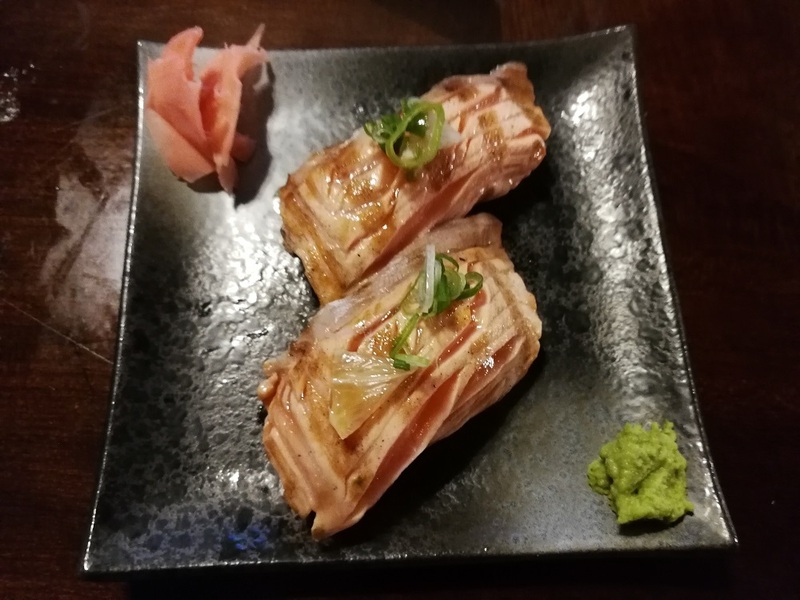 If you’ve been to izakayas in Japan or any major city, don’t expect to find a true izakaya in Halifax. Not yet. Dora-Q is problematic because you order at the counter and pay upfront. It’s also strange that there are paper cups for your soy sauce, while otherwise there is beautiful dinnerware. However, in true fashion, orders are called out to the kitchen who bellow back the order in Japanese. And the food is good. It’s really good. The first thing we noticed was bluefin tuna advertised on the specials board! “Local, very fresh, never frozen” – this is not something you see at your run-of-the-mill sushi shop! We ordered a couple pieces of bluefin nigiri and a negitoro maki roll and selected a table. 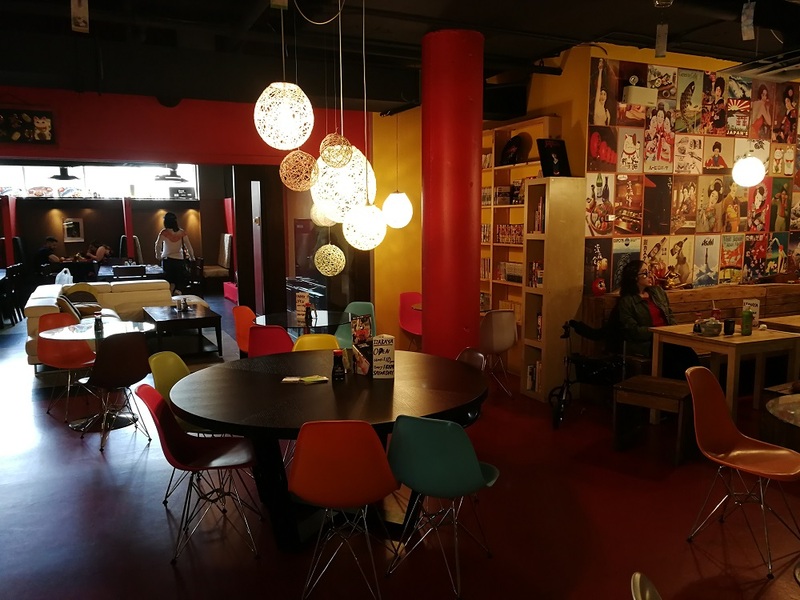 Dora-Q has several seating options offering different dining experiences: there are intimate booths, large round tables, casual food court seating, and wooden tables with eclectic decor. We planted ourselves on the L-shaped couch in front of the flat screen television. There was sumo wrestling on the TV and jazz softly playing in the background, and I relished in this whimsical ambiance. Then our sake arrived, both warm and cold, and we got to eating. The first thing you will notice when you eat Dora-Q’s sushi is that the rice is warm! Great pride is taken to serve fresh, warm, perfectly seasoned rice. It is loosely packed, so I find some of the items can be fragile, but the pay-off is the delicate texture of the rice. 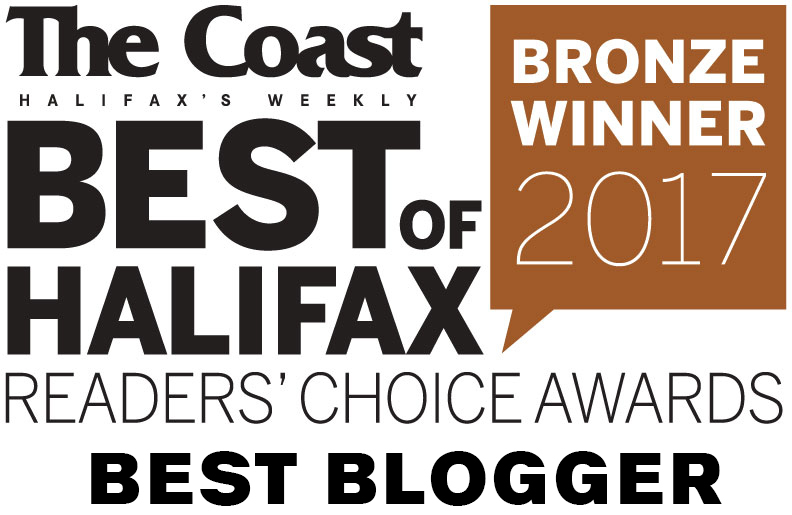 It is the only sushi in Halifax that has made me close my eyes and audibly swoon. A new-to-me food is oden, which is a Japanese stew in which a bunch of things are cooked in a flavourful dashi broth and served with hot mustard. Think of it as a Japanese “boiled dinner” (learn more here). You can order a combo plate (5 items/$10) or just one item, which is what I did. I ordered a fishcake stuffed with burdock ($2.50). If you’ve never had Asian fish cakes or fish balls, you may find the texture unexpected. 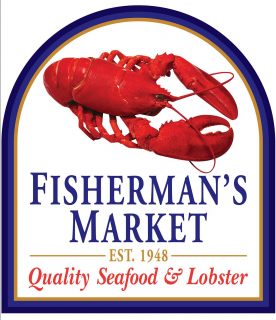 They are firm and dense with a bit of chew, made from mashing fish into a paste and steaming it. Kind of like imitation crab. I really enjoyed this dish and wish I would have tried other oden items (like yam cake or boiled egg) but LuShark was not interested. 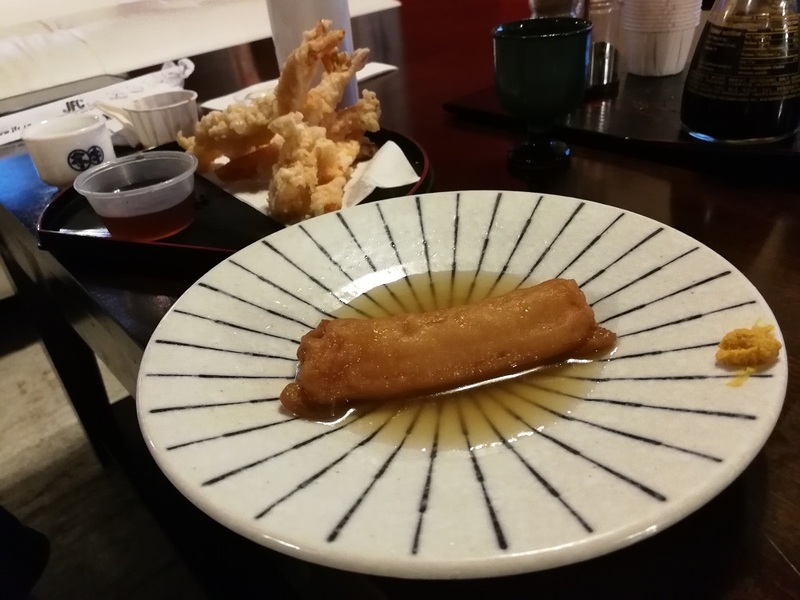 She enjoyed her tempura ($5) and gyoza ($4.50) instead, which were perfectly serviceable. I would actually say the tempura was above average. 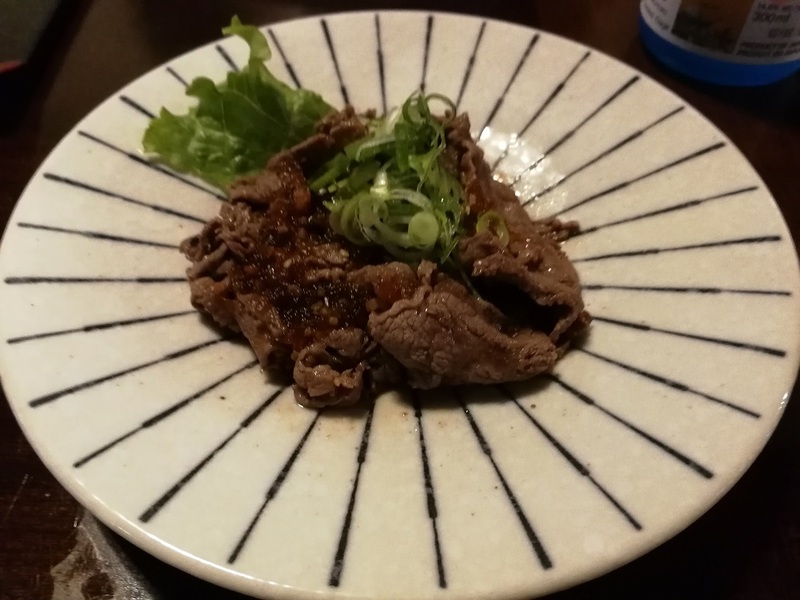 Next to arrive was the yakiniku ($4.50), which is grilled beef in a house-made sauce and is thought to have been inspired by Korean barbecue. The beef was tender and flavourful, and made for enjoyable bites in the company of our dumplings, all washed down with sake. But I wouldn’t say it was a highlight. Next up was the chicken karaage ($7), which is Japanese fried chicken. What I like about this style of fried chicken is that it tends to be leg meat removed from the bone, so it is super tender and flavourful! 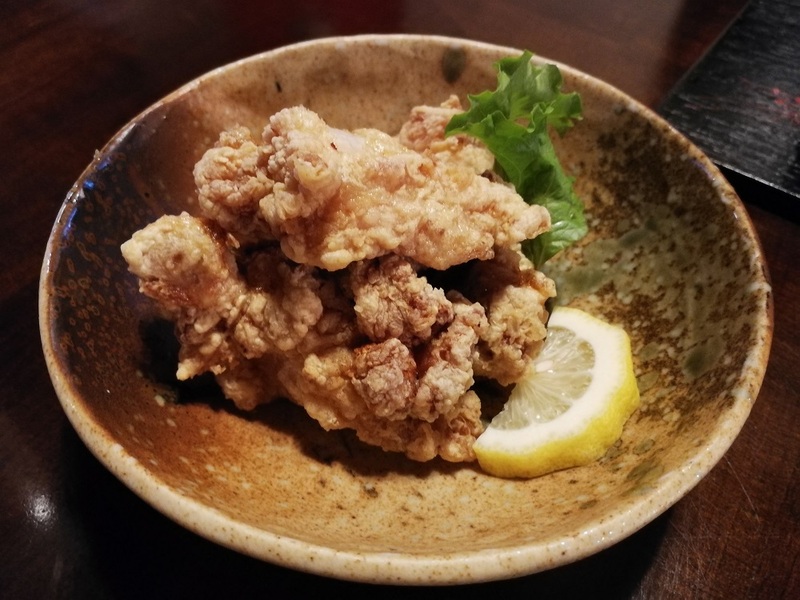 I think this is one of the best things to order for izakaya, as it is approachable and delicious to all palates and pairs perfectly with beer. LuShark was a little put off by the layer of chicken skin under the batter, but thanks to her sissy mouth there was more for me! We decided to go to the counter for one more round. “I want to try the takoyaki,” I said. “You don’t like takoyaki,” replied LuShark. “What are you talking about? I can’t even remember the last time I had it!” I argued. 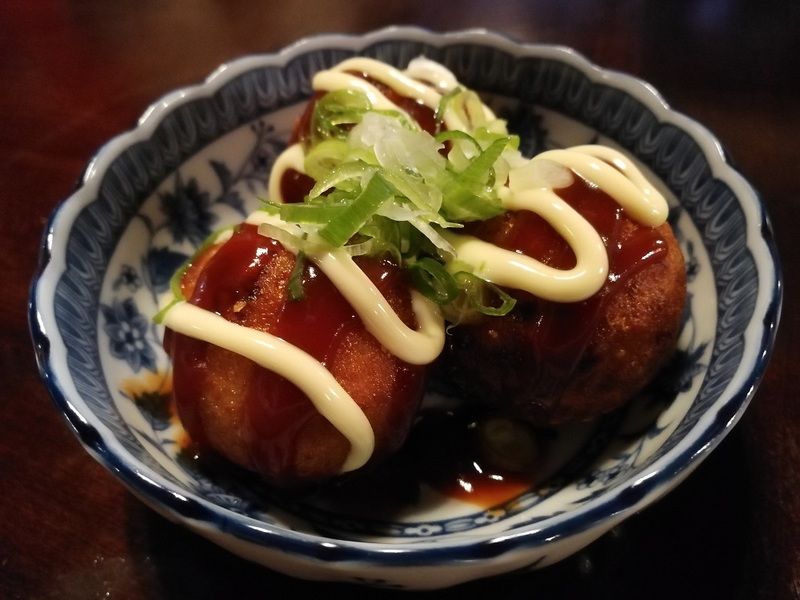 I ordered the takoyaki ($4.50): battered octopus balls. How could anyone not like an octopus ball? … there’s something about the mushy centre that disagrees with me. Apparently true takoyaki is supposed to have a mushy inside, but the texture is that of under-cooked batter and it’s not to my liking. But onwards and upwards! 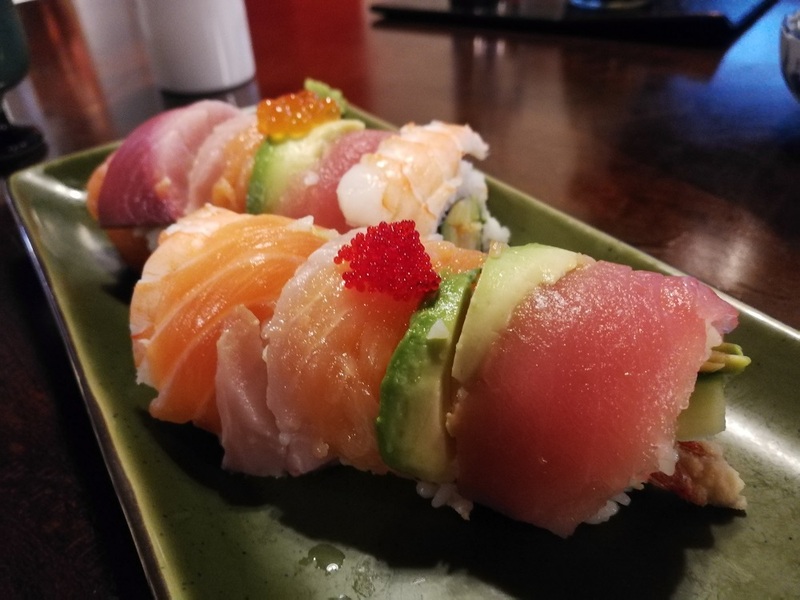 LuShark’s choice: The Rainbow Roll ($13.50). Dora-Q does not specialize in fusion rolls (purists rejoice!) but they have a full blown rainbow roll on their evening menu, which was garnished with two varieties of roe (fish eggs). What a nice touch! The only thing I didn’t like about this roll was the pieces with smoked salmon, as I felt it overpowered the other flavours. LuShark had no complaints. She was in loooove. 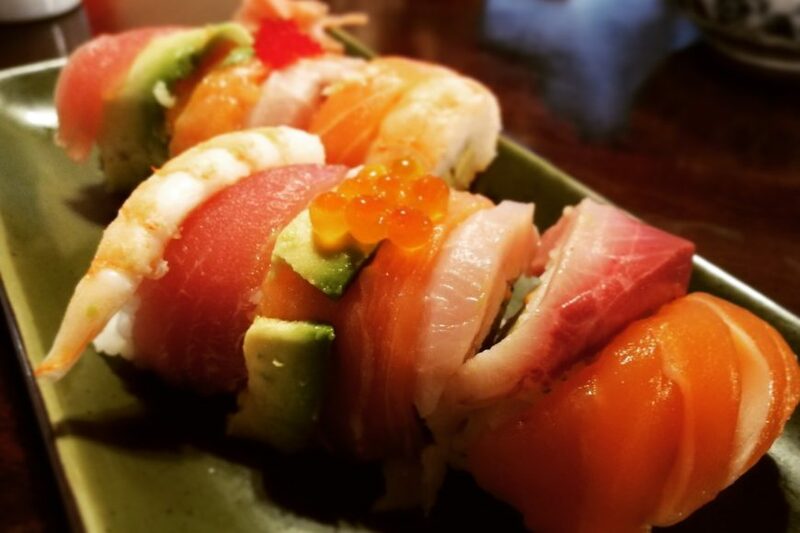 As we were ordering our last round, I noticed the other daily special: Aburi Salmon Nigiri! Aburi sushi is treated with a blowtorch before serving. It has a seared top and a raw middle, making for an enjoyable play of textures and flavours. I also appreciate that it tends to be garnished by the chef, and diners are told not dip it in soy sauce. This was a perfect bite to end the meal! We loved our izakaya dinner at Dora-Q! We left with big smiles and happy bellies. 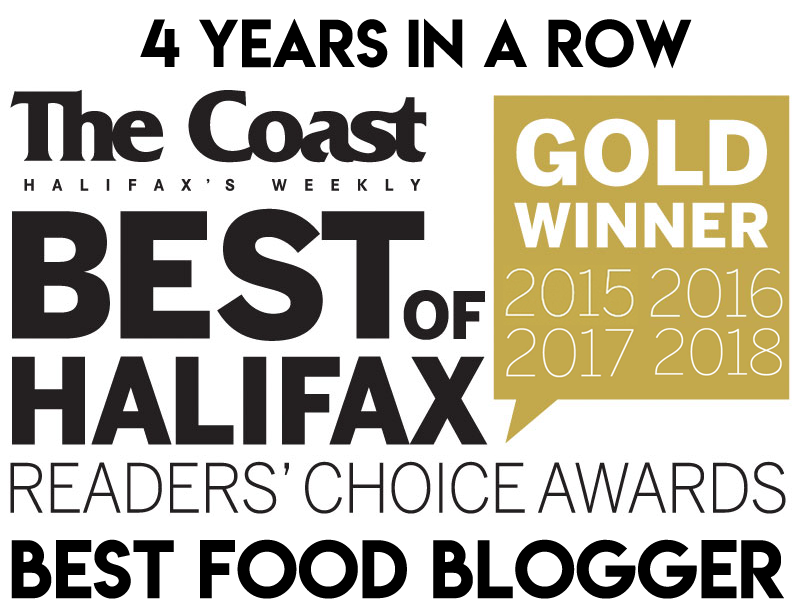 Dora-Q has long been my favourite sushi spot in Halifax, and now I can easily recommend it for izakaya.